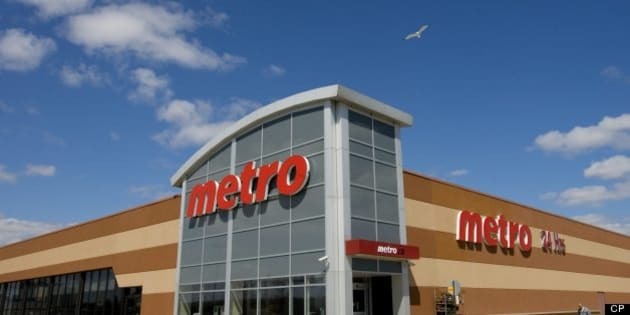 TORONTO - CIBC analyst Perry Caicco says it's "imperative" for Montreal-based supermarket chain Metro (TSX:MRU) to make an acquisition in light of Loblaw's planned purchase of Shoppers Drug Mart. Loblaw's (TSX:L) decision to buy Canada's largest pharmacy chain for $12.4 billion suggests Metro's obvious choice is a deal with Quebec-based pharmacy retailer Jean Coutu (TSX:PJC.A), Caicco writes in a research note. He says Shoppers may not have been the first or even second choice for Loblaw, the country's largest grocery retailer, and suggested its preferred purchases were either unavailable or too expensive. CIBC had previously identified Shoppers and Coutu among four likely takeover targets for the grocery giants, with the other three including Safeway Canada — a chain based in Western Canada that's being acquired by Sobeys — as well as Overwaitea Food Group, part of the Vancouver-based Jim Pattison Group. "It is now imperative for Metro to make an acquisition. If Loblaw bought SC, it means that Overwaitea is either not for sale, or listed at too high a price. That puts Jean Coutu in the gun sites. Walmart (NYSE:WMT) also has to consider its options. And there are fewer left every day," Caicco said. Sobeys announced last month that it will buy the Canadian assets of grocer Safeway for $5.8 billion in a deal that included 199 in-store pharmacies. Although Loblaw executive chairman Galen Weston didn't identify his rivals in Monday's announcement, he and other executives frequently referred to adapt to changing conditions and consumer preferences. Among other things, Canada's domestic retailers face increased competition from Minneapolis-based Target Corp. (NYSE:TGT), which has recently begun opening stores in several provinces, as well as from established American rivals Walmart and Costco (Nasdaq:COST), which sell groceries and other merchandise.